Saturday, April 6 (Yonkers, NY). 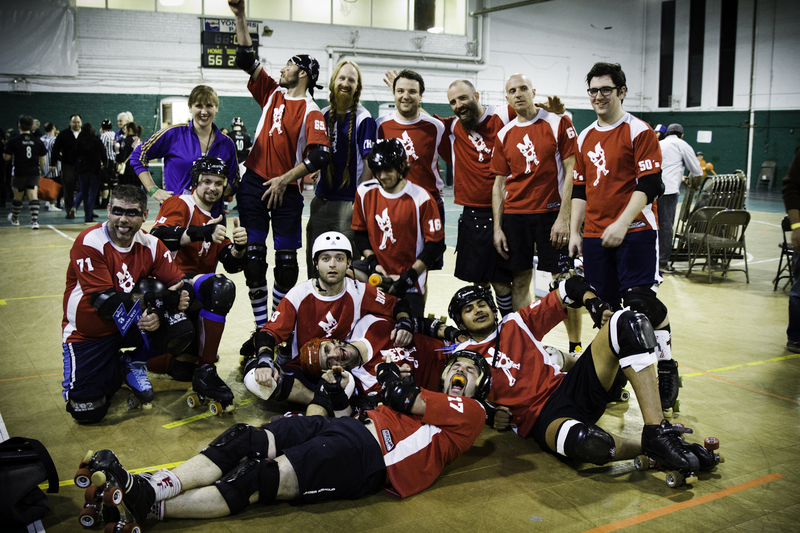 Over the weekend, Montréal’s Mont Royals and the New York Shock Exchange (NYSE) faced off during MRDA’s first international sanctioned bout, which finished with a New York win, 444-50. The double header was kindly hosted by the women’s league Suburbia Roller Derby. After a close match between the hosts and Maine’s Port Authorities, the Mont Royals went up against the 3rd-ranked NYSE. The Mont Royal’s 50 hard-earned points put them in the rankings, placing 12th out of MRDA’s 23 teams, published by Flat Track Stats. The Mont Royal’s next game will be against Vermont’s Mean Mountain Boys on April 20th.